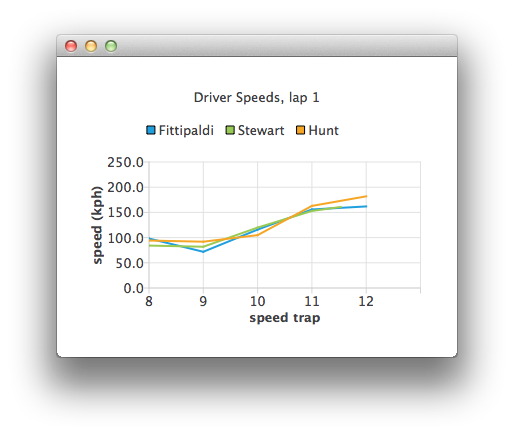 title: "Driver Speeds, lap 1"
Our XmlListModel uses hard-coded test data. In a real application the data source would be a timing system. The data is parsed with a timer. The line series representing each driver are created on the fly.